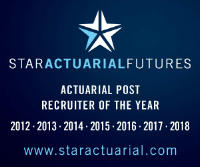 Our client is seeking a reserving actuary with 4-8 years experience in reserving in General Insurance. The person should be qualified, or qualified by experience, and will be joining their London team of 4. The new person will report directly to the Syndicate Actuary. They need someone with good, strong experience in reserving, excellent Excel skills, who can communicate results well to the board and interact well with the underwriting team.